Our company 3-Gen Construction Inc, was founded by two 3rd Generation residential home and exterior contractors. Combined we have 50+ years experience in the construction industry. Our passion and devotion to construction and customer satisfaction has been passed down from generation to generation and is at the very heart of our core values and business philosophy. 3-Gen Construction Inc, is a residential contracting company based out of Calgary, Alberta. 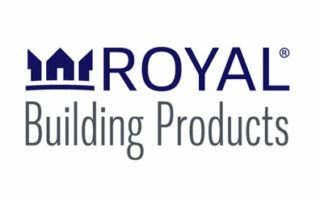 We specialize in new home exteriors, exterior renovation and insurance claims/projects. We have the experience and knowledge to handle any size job. No project is too big or too small. Over the years we have built strong relationship with our suppliers and trades in Calgary and the surrounding areas to ensure you receive the best products at the best price. We only use suppliers and trades that have the same standard of excellence as we do. Although we primarily offer exterior contracting services, we are also certified as a Master Home Builder, Moisture Control Specialists, and IICRC Fire/Water Smart Restoration Technicians which allows us to look at any project that fits within the parameters of our experience. We excel at what we do because we use the best products, techniques and personnel. Our customers deserve the best! We understand your time is valuable and that’s why our goal is to complete any job in the given timeline. If you’re looking for a contractor that cares about the quality of their projects as well as the concerns of their customers, well then, look no further, 3-Gen Construction Inc. is the right contractor for your job. 3-gen provides quality installation from the following suppliers and more. Please click the supplier website links for additional product details.